The revelation — while laced with uncertainty — indicates that the ongoing cases Mueller handed off could still feature significant developments, legal experts said. 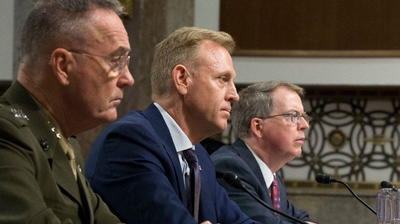 The Marine Corps commandant warned the Pentagon in an internal memo that he's been forced to cancel exercises and delay emergency repairs because of the unexpected deployment on the southwest border, among other demands. Opinion: Republican Representative Devin Nunes of Tulare, California, is suing social media site Twitter and parody accounts over the same behavior he used in campaign propoganda during the 2018 midterm election.